Oregon Beachcomber Blog - What's washing up? : Velella Update! If any of you are sad that you might have missed the By-the-Wind Sailors on your local beaches, never fear! I am still getting lots of reports of these guys floating around in piles on the sea, as well as washing up on beaches in Washington and Oregon. 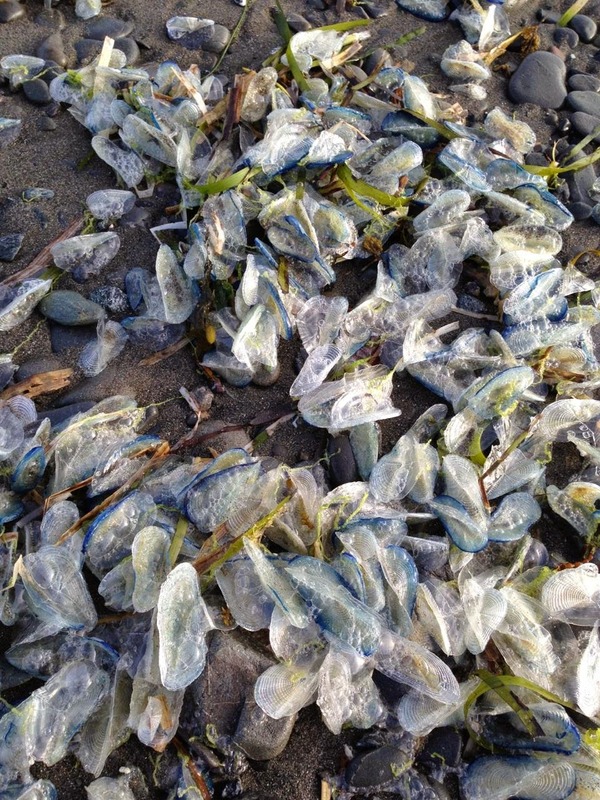 Here is a photo submitted by one of my readers, Cassandra D., of a pile of Velella in Brookings Harbor, Oregon. Thanks Cassandra!